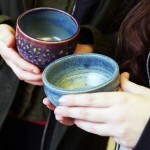 Kingfield Empty Bowls: Volunteers Needed! Be part of the team at Kingfield Empty Bowls; sign up to volunteer! On Thursday, February 9th, Kingfield will host the sixth annual Kingfield Empty Bowls! Empty Bowls is a single day event that combines art, food, local businesses, nonprofits, and lots and lots of neighbors raising awareness and funds to combat hunger in our neighborhood. Your support of this project will again benefit Nicollet Square, an organization that provides affordable housing and a supportive environment for young adults who have experienced homelessness or have been in the foster care system. Last year we were able to donate over $10,000 to Nicollet Square through this single evening event!